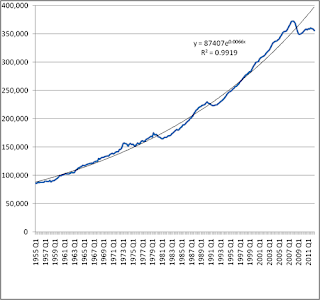 Modern Debt Jubilee: Bank of England no Longer Predicting Recovery. 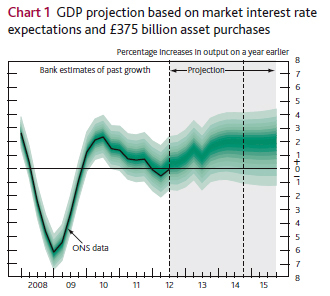 The Bank of England's Inflation Report for Nov 2011 is out today. The outlook is fairly pessimistic. "The UK economy has barely grown over the past two years, as it has laboured against the consequences of the financial crisis and its impact on global demand, a sharp squeeze in domestic spending power and a necessary fiscal consolidation. The period of weak demand has been accompanied by stagnant productivity, raising questions about the extent to which the supply capacity of the economy has expanded. Increases in energy and other import prices and in VAT have meant that CPI inflation has been well above its 2% target for much of this period." We don't have to look far for the reason it's different this time. From 1990 - 2010 UK private sector debt increased by 700%, as virtually all limits and oversight were withdrawn from the finance sector. 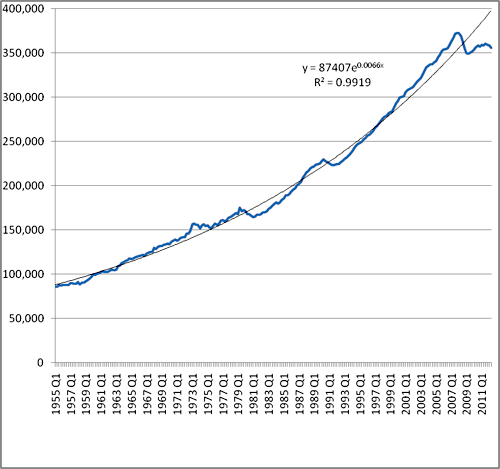 Massive indebtedness means were busy paying off debt instead of spending or investing. Any sensible government would be looking for ways to decrease the debt burden - a debt jubilee or debt relief program - which would be the best stimulus for growth, because it would stimulate demand by freeing up disposable income. Indirectly it would help the government balance the budget by boosting their choking revenue stream. However "sensible government" appears to be an oxymoron. The Tories still seem fixated on cuts as the way forward despite mounting evidence of the deleterious effects. And despite the fact that Vince Cable identified the problem with consumer credit in 2006 and predicted trouble on that basis. He didn't quite foresee the crash in the way that other's did, but he did ring alarm bells. However Mr Cable appears to have forgotten that he ever knew about the problems of high debt levels now that he is Business Secretary and in a position to do something about it. On the plus side unemployment came down this week, though it seems many jobs are being converted into part-time work. And there is the hidden effect of the government shuffling people around in work schemes. Claims for benefits went up which is probably a truer reflection of the state of employment.